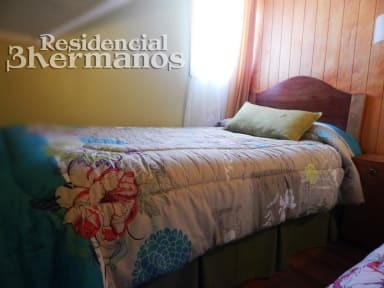 Residencial Tres Hermanos, Punta Arenas, Chile : Rezerwuj teraz! 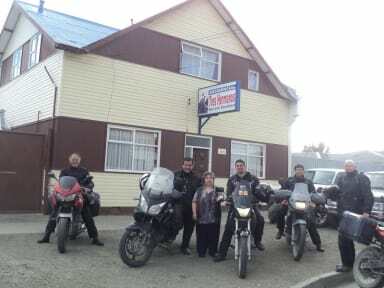 Welcome to our home, here you will know about our lodging services that as a local family we have offered over 32 years in our home town Punta Arenas. We are Three siblings Pedro, Pamela and Patricio that all together with our mother Blanca want to give the passenger a quality service in a friendly atmosphere making your stay more enjoyable. We can provide you the necessary information to know our beautiful city and its attractions to have the best memories of your visit to the Chilean Patagonia. In our lodging you will find: tourist information, restaurant, laundry service, private parking and regional souvenirs. In our kitchen you can taste typical foods of the region and also enjoy a good Chilean wine.